From Paris to New York, Jouffre perpetuates the fine tradition of the upholsterer’s profession, fusing savoir-faire and French luxury. 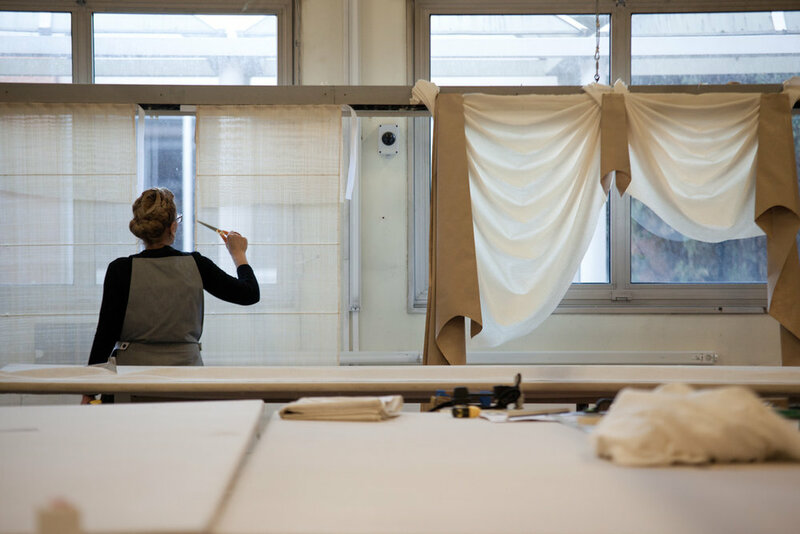 Curtains, cushions, bedspreads, reproduction armchairs and contemporary sofas are handcrafted by the best artisans in our Lyon and New York workshops, before furnishing the world’s most beautiful interiors. Jouffre was established in 1987 in Lyon, a city with a major textile tradition. Two years later, the showroom in paris was opened and shines in a pared-down style where french know-how and marvelous design fuse to offer an unprecedented experience. Having collaborated with many European professionals, Jouffre sets up a US base in 1998. The objective? Assist its clients on their American projects, and undertake new collaborations with New York designers and architects. 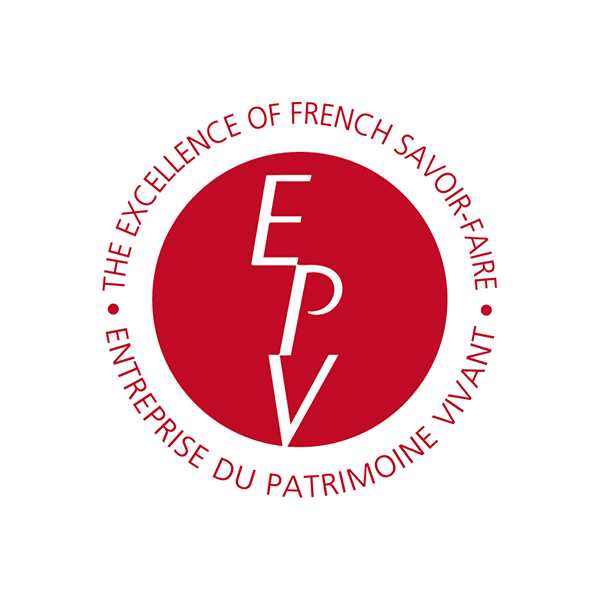 In 2006, Jouffre was one of the first French companies to be awarded the prestigious “Entreprise du Patrimoine Vivant” label of excellence. The label was re-awarded in 2012. In 2013 the company stepped up its American presence, moving into a workshop of about 5,400 sq ft and hiring a number of craftsmen. In the space of two years, the New York team grew from five to eleven staff, who today produce every aspect of the firm’s American projects. Renowned worldwide, Jouffre is specialized in high-class upholstery, both traditional and contemporary. 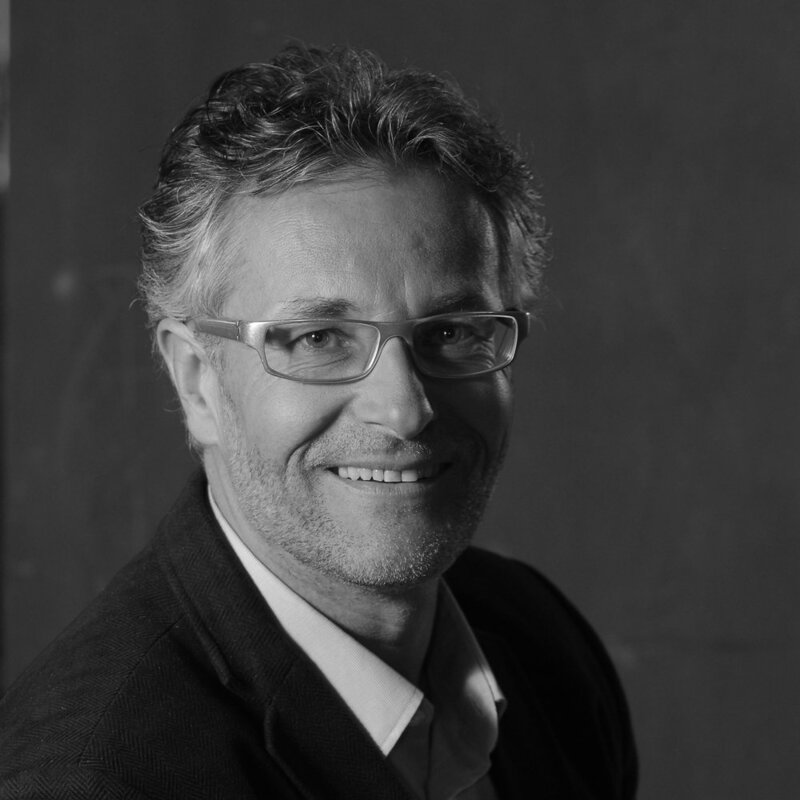 The same passion has driven Charles Jouffre and his teams for more than 30 years. They respect age-old savoir-faire in order to serve demanding international clients. With workshops in Lyon and New York, but also showrooms in Paris and central Manhattan, the firm works for designers worldwide but also for hotel proprietors, public agencies and individuals. A man with a passion, Charles Jouffre has exercised his profession for more than 40 years. After his apprenticeship in 1976, and fine-arts evening classes in Saint-Etienne, Jouffre toured France in 1978, training with craftsmen in the "Companions of the Tour of France" network. Charles Jouffre conceives of the upholsterer’s profession as "a fine craft that is part of a cultural heritage – a legacy that should be further enhanced and passed on to future generations." Besides drawing on centuries-old history, the upholsterer’s profession owes its long success to its adaptability : it employs new techniques and materials, as well as modern and innovative fabrics. Fast-forward to today and the upholstery brand has ateliers in Lyon, Paris and New York. 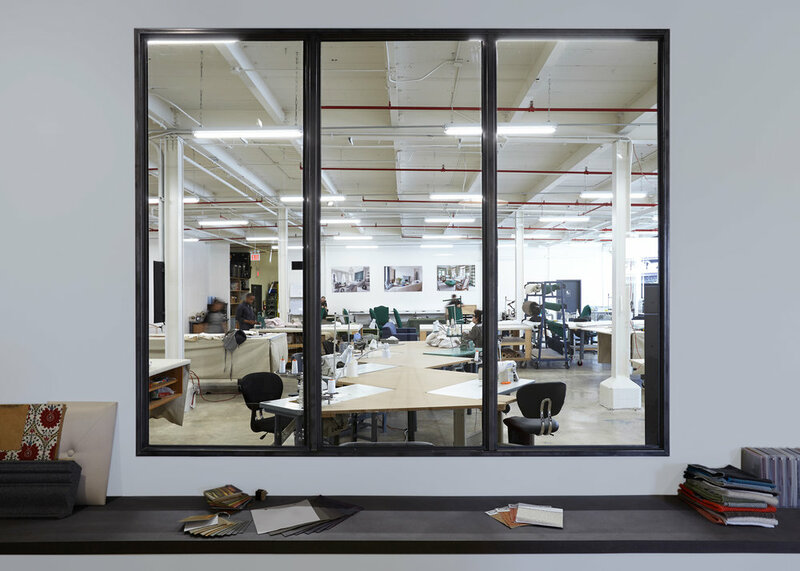 What started off as a two-person venture has grown into a team of more than 70, with the New York workshop headed by Charles’s son, Romain Jouffre. Before landing in New York in 2014, Romain spent three months training at Jouffre’s French workshop to learn about the trade. The young COO says that Jouffre New York’s expansion has seen its fair share of challenges. 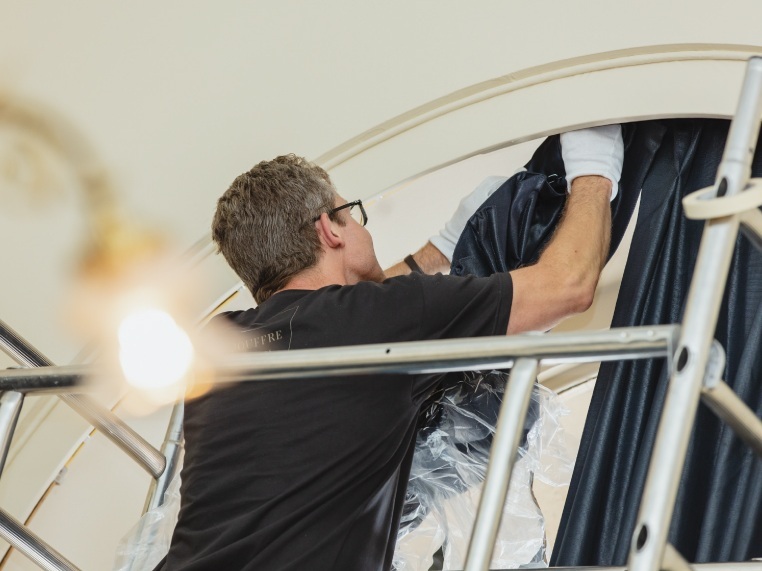 For a company that likes to do everything internally—from finding and hiring upholsterers to giving all employees autonomy—each step forward is taken in strides. Jouffre’s workshops stand for extensive ancestral savoir-faire and virtuoso technical prowess devoted to creativity. Their extremely exacting standards of meticulous perfectionism have developed and evolved constantly since the adventure began. Wether it is furnishing, window treatment, wall-upholstery & gainage or even fitting and installation, Jouffre always does it’s best in every single step. The pattern of a cover, or the complexity of a chair or sofa, means that fabric-cutting is a delicate operation. The upholsterers – equipped with a ruler and a pair of scissors, but primarily with their savoir-faire – devote themselves body and soul to this first perilous stage. 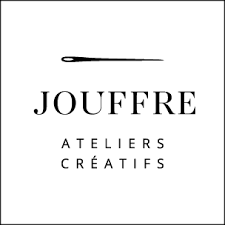 Jouffre provides its decorator clients with a logistics service enabling them to monitor the atelier’s work: confirmations of orders placed with suppliers, follow-ups to ensure delivery-date compliance, systematic quality control of the goods received; packing; shipping by road, sea or air; customs clearance, then delivery and onsite acceptance. Wether it is assembling the patterns of a damask, positioning a seam or seeking for the optimal material. Jouffre’s artisans are expert in fashioning and transforming fabrics into splendid décors. Rosettes, brocaded braid, knitted gimp, and bullion fringes… For more than thirty years, the men and women in Jouffre’s workshops have crafted thousands of trims, handstitched to the very highest standards of workmanship. In a final flourish, it is now time to secure the fabric loosely by knocking tacks half-in with an upholstery hammer; stretch it on the back; sew on the piping; and assemble the inner pad, then the cover, of the cushions. Followed by a final masterly touch: fasten the dust cover fabric, which will mask the underside of the chair to assure a perfect finish. After everything is installed and every pice is on its place, you can lean back and relax to enjoy the unforgettable atmosphere of Jouffres unique savoir-fair in your room. Jouffre was given the opportunity to participate in their first project within the One57 tower, designed by French Architect Christian de Portzamparc. Positioned on the 63rd floor, New York-based designers Drake/Anderson conceived an apartment with inimitable detail, trusting Jouffre to use all three of it’s savoir-faires in order to help realize their vision. To design a townhouse located in the heart of Brussels in Belgium, Pierre Yovanovitch trusted Jouffre to implement two of their savoir-faires, window-treatment and upholstery, in every room of the house. The impressive drapes ringing the Salle des Fêtes (Reception Hall), in which the President of France typically plays host to his guests, were entirely recreated under the benevolent eye of the Mobilier National (state furnishings institution). Selected through a tendering process, Jouffre crafted curtains and pelmets; and meticulously applied the braid to superb fabrics made by Prelle, in order to respect the original designs.